Print Book :3 Volumes; Looseleaf; updated with revisions. Everything You Need To Structure A Transaction Involving An Equipment Lease. In-Depth Coverage Of Vital Topics. This powerful one-stop guide to equipment leasing thoroughly analyzes and discusses Article 2A of the UCC, financing, regulatory, state, local and federal taxation, accounting, litigation, insurance and bankruptcy issues. In addition, all essential types of leases, such as leveraged, operating, cross-border, consumer, finance, merchant and true leases, as well as specific industry leasing, including ship/vessels, railroads, satellites, computers, aircraft and more, are covered. Insights From More Than Fifty Experts. 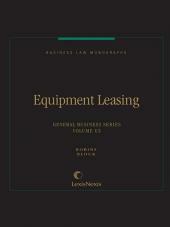 More than fifty of the nation's most prominent equipment leasing experts have brought their collective knowledge to this treatise, making it the most authoritative treatise on equipment leasing available today. All the chapters are coordinated and consistent in their style and depth of treatment. The material is clear and easy to understand--useful for both the seasoned practitioner as well as newcomers to the field. 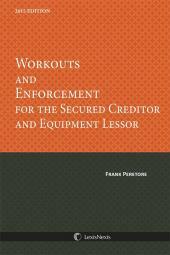 At last, here is an amazingly comprehensive treatment of the legal and business issues relating to the leasing and other commercial financing of equipment! 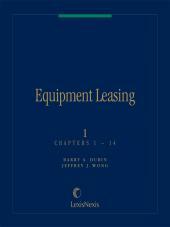 This invaluable three-volume set will provide you with all the material you'll need when structuring a transaction involving an equipment lease. You'll also get indispensable practical guidance on litigation strategy and tactics. Jeffrey J. Wong was instrumental in the creation of the Equipment Leasing treatise and was its General Editor and a contributing author from 1995 until his death in 2001. Mr. Wong was a partner in the San Francisco law firm of Cooper, White & Cooper LLP. He received an A.B. from Princeton University in 1965 and a J.D. from the University of California, Hastings College of Law in 1968. Barry A. Dubin, General Editor and a contributing author of Equipment Leasing, is a partner in the San Francisco law firm of Cooper, White & Cooper LLP and has over 25 years of experience in equipment leasing and secured transactions. 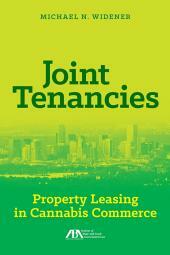 Mr. Dubin is a co-editor of Matthew Bender¿s Commercial Loan Documentation Guide and Commercial Finance Guide. He received his B.A. degree from Yale University in 1968 and his J.D. degree from Columbia University School of Law in 1973. P 31A.09 What Is the Proper Legal Characterization of a "Software Lease"? P 31A.10 What Is the Governing Law in a Software Lease Transaction? P 34.02 The "Wet Lease"